People often believe that their dog needs training – however, what dog owners don’t understand is that training can only teach a dog obedience such as ‘stay’ or ‘sit.’ A professional dog behaviourist deals with the dog’s behaviour which includes creating a balance and boundaries in a disobedient or even obedient dog. For example, owners often report that their dog listens to and obeys all their commands, but tends to become aggressive around strangers or other dogs. This behaviour is misdiagnosed as being ‘dominant’ and cannot be corrected with only positive re-enforcement or training. This is where the job of a certified and professional dog behaviourist starts. An experienced dog behaviourist will look at your dog’s routine in their own environment (your home) and the amount of exercise, discipline, boundaries, etc. that are provided to them. A good behaviourist will also take into consideration how you as the owner and the dog’s leader handle problematic situations. Based on this information, a dog behaviourist will then work with you and your dog to correct his behaviour and teach you certain tips and techniques on how to handle, correct and prevent such behaviour in the future. 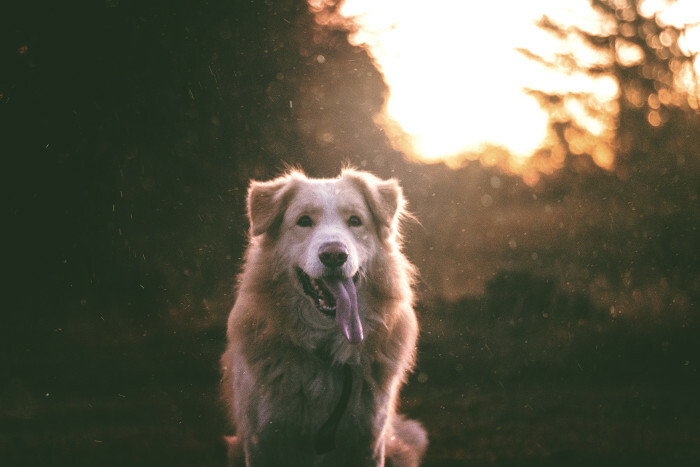 It’s extremely vital yet so easy to find great behaviourists that you’ll want to invest in, and one I’d highly recommend you look at is a company called Dog Harmony whom offer dog behaviourist services all around the UK. They have years of experience in this field which ensures your dog will be well cared for and have their problems sorted professionally and efficiently. With Dog Harmony, only one or two counselling and training sessions are needed as they are confident they’ll help in controlling your dog’s difficult behaviour. While minor or mild behavioural issues can be corrected through reward based training, serious behavioural issues need to be addressed immediately. Rather than growing out of aggression, a dog is more likely to grow in to it. Other problems such as separation anxiety, excessive barking or digging, chewing, pooing, and weeing indoors, nipping or biting, resource guarding, etc. are signs of behavioural problems which need to be treated by a dog behaviourist. When your dog is disturbed or is not behaving appropriately, it can affect your entire life and freedom. As owners, you can suffer through problems such as embarrassment, anxiety, or stress, or face legal consequences such as fines or restrictions by the local council. Aggression and other such problems can also disrupt your family life or cause injury to you or your loved ones. In one of the worst-case scenarios, the problematic behaviour in your dog can become a permanent part of his personality, which can also lead to seizure of the pet by authorities. Hence, consulting with a trained and certified behaviourist will help you obtain faster results which are long lasting and effective. Hence, here are the top 5 reasons why you should invest in a dog behaviourist. An experienced dog behaviourist can help you understand why your dog is displaying undesirable behaviour such as aggression, snapping or barking at strangers and dogs. Veterinary behaviourists are specially trained to identify and diagnose the root cause of your dog’s problem. Knowing why your dog is doing something is half the battle for training your dog not to do it. Moreover, many problems or behaviours can be easily treated and rectified if caught early. Aggression: This is a common problem amongst dogs which stems from predatory instincts, fear or it can be a learnt behaviour as well. Regardless of the reason for it, aggression has to be addressed as aggressive actions by your dog which can attract heavy legal penalties. Separation anxiety: This is a behavioural disorder which results in your dog becoming timid, whiny, or aggressive. Separation anxiety happens if your dog fears being left alone and the resulting behaviours are a coping mechanism. Reasons for this problem can include illness, trauma, being re-homed, etc. Fearfulness and anxiety: Anxious dogs can display many behaviours such as aggression, submissive urination, excessive licking, resource guarding or other anti-social behaviours. Various Phobias: Different fears such as storm or noise phobias can endanger you or your dog. Dogs can self-harm trying to escape a storm or may end up lost. Hence, a behaviourist can provide the needed intervention which can significantly reduce the phobia or fear. For these problems and more, a dog behaviourist can device dedicated training, behaviour modification and desensitisation exercise programmes which can effectively treat the problematic behaviours. Often, owners are not able to provide the required exercise, training, or time for their canine companions to grow mentally and physically. This can lead to behaviours such as barking, digging, being hyperactive, disobedience and other such destructive behaviours, the root cause of which can be boredom amongst other problems. Other times, owners simply do not have the required time, expertise or physical ability to do more for their dogs. In such cases, exercise is not the only solution– therefore a dog behaviourist will work with you and your dog to find a solution which works for the both of you as they understand how extremely important it is that your dog is being walked regularly and is getting enough exercise. Sometimes, what seems to be harmless at first can turn into a problem for you. In today’s world of technology, internet and Google owners are often misinformed about the right way to raise their dogs. For example, aggression in a dog is seen as the dog being dominant, nipping/biting and rough play can be thought of as something ‘cute’. However, these are signs of more serious problems which your dog might be struggling with. Moreover, there are many types of ‘play’ which are not healthy for your dog. For example, you must have come across various dog videos where the dog is made to chase the red dot of a laser pointer. While it may seem like some light fun and great exercise for a dog, it can eventually lead your dog into developing obsessive compulsive disorders. Hence, a certified dog behaviourist can work with you and your dog to understand the problems your dog might be at risk of developing in the future due to harmful play. Along with training your dog for the required behavioural changes, a dog behaviourist can also teach you how to handle your dog in a constructive way. With an improved dog to owner relationship, you can significantly reduce the chances of your dog developing behavioural issues in the future. A dog behaviourist can make a detailed schedule of exercise and routines for a more harmonious relationship with your dog. Another reason you should consider investing in a good dog behaviourist is because they can teach your dog to master some seriously impressive skills and tricks. What’s more, dog behaviourists try to work with you and your dog in a familiar environment such as your home. This means that you do not have to take extra time out of your daily schedule to drive your dog back and forth to the clinic or training camp every day. Moreover, as problematic behaviours in dogs cannot be treated instantly, professional dog behaviourists ensure that they take regular feedback through telephone or e-mail support. Hence, if your dog shows signs of reverting to bad habits and behaviours even after training, through regular follow ups the problem can be identified early on.